Autoantibodies: Serum Content or Profiles? According to the Bible, Noah's grandfather, Methuselah lived 969 years. It is easier to believe and accept that, by calculations of gerontologists, the biological resource of a human body lasts for not less than 120 years. The well-known medieval physician Paracelsus considered that the person could live 600 years. Haller and Hufeland (XVIII century) limited human life age to 200 years. Ilya Mechnikov and Alexander Bogomolets talked about 160 years. But how many people will live at least 100 years, do you know? The fact that the overwhelming majority of us do not live 60-80 years until our biological limit characterizes pessimistically contemporary state of medicine, nobody knows why, called “public healthcare”. The modern medicine (in a traditional Western variant) does not protect human health or, otherwise, talk round corners. The modern medicine is the medicine of “repair”, the medicine of tablets and a scalpel. This is not the fault made by healthcare policy makers, or by physicians. It historically determined. The basic paradigm of medical aid involuntarily formed throughout many centuries. Today “the repair medicine” also includes such a significant segment like disaster medicine and military medicine. However, it is rather a small segment of contemporary medicine, which focused not on wounds, traumas or life-threatening infections, but on chronic and slowly developing cardiovascular, malignant, endocrine, neurological, and other diseases. Understanding of the crisis in the current healthcare situation is an incentive to reflect on alternative ways of the development of medicine, or rather, about the formation of a real healthcare - medicine of prevention. It is worth saying that “tablet strategy” practically exhausted. Today the average investment for one pharmaceutical compound from its development to market launch requires more than 1 billion dollars. Thus, not only practical physicians, but also pharmacologists recognize that “tablet strategy” is effective in not more than 30% of cases maximum. Some specialists consider that the inefficiency or the harmfulness of pharmaceuticals reaches 85% (from the lecture by Vitaly Prutsky, the Head of Information Management in R&D “AstraZeneca” in Russia and Eastern Europe, 2012). It is interesting that captain Jacques Margeret employed to tsar Boris Godunov wrote in his book titled “Estat de l'empire de Russie, et grande duche de Moscovie” dated 1606, “Many Russians live until 90-100 and 120 years and face illnesses only in an old age. Thus, nobody accepts medicines with the exception of the tsar and top noblemen”. So the way of healthcare development surely guides ours society to a deadlock. What shall we do? The preventive medicine (PM) is an alternative healthcare ideology and methodology. Its essence refers to the personified management of physiological health state and organism reserves. The main objective is the high-grade healthy human life prolongation up to natural, biologically restricted limits. The main task is to not to cure illnesses, but to reveal any deviations of organism to lead to diseases and take the targeted actions to prevent illnesses. The philosophy of the preventive medicine differs essentially from the traditional Western medicine philosophy so long as it based not on the paradigm of “repair” but maintenance managing of the human health. We consider that in order to solve today’s and tomorrow’s acute demographic problems along with the healthy birthrate ensuring, the morbidity and mortality decrease, the high-grade healthy and efficient life prolongation it is necessary, not in words, but in practice, to get down to the PM concept formation and to the practical step development for its implementation. The task includes the creation of new technologies and techniques, and their application in the clinical practice, the management system construction for mutual relations between citizens, medical organizations, companies, institutions, and the state regulating or supervisory agencies involved in the medical service sector. It is necessary to adjust the activity range for different organs in state management, education, fundamental science, clinical practice, and medical business. The task complexity requires the construction of optimal connective trajectories (profiles) between a considerable quantity of dotted interdisciplinary and interdisciplinary competences. In our opinion, the decision of such a global problem is quite possible nowadays with the help of “Strategy Project Principle” for the development and implementation of the predictive and preventive medical technologies and practices as strategic management models. We consider necessary to accept from the first steps not separate techniques, but complete concept project with 15-30 year planning horizon. It will allow revise and manage simultaneously the whole cycle of healthcare development. This conception will be capable to be changed and developed in time in accordance with current events and circumstances. The project principal offered by us ensures the management system from the moment of the innovative mainstream, formation or scientific idea appearance until the moment of rendering high qualitative certificated healthcare service for each concrete person. Organizational, technical and personnel support; the solving of vocational training issues for highly qualified professional specialists in close inter/interdisciplinary sectors (physicians, researchers, managers, lawyers, economists) for fitting up-to-date their competences. Organizational, technical and personnel management for long-term planned research aimed to solve the basic pending PM problems. Establishment of the planning, coordinating and supervising agency authorized to open, settle and solve all questions concerning the governmental PM project at the federal level (separate ministry, profile agency, self-regulated community with a list of the powers delegated by the Government, etc.). Establishment of Strategy Project Development Centers empowered to organize the competences fitting and ensure the Governmental Project Support from the productive idea until the stage of its market entry. Individual estimation of pathological change risks based on genetic diagnostics, family anamnesis study, estimation of personal psychological and physical state to develop personal strategy of prevention. Regular biomarkers monitoring reflecting a current health status of the surveyed person. Prescription of target measures including non-medication procedures capable to prevent critical situations in health status. NB: Genome screening allows estimating risks of the disease development which may not be appeared during one’s life; otherwise, regular individual monitoring of phenotypic markers ensures the beginning of a disease (especially with a person from risk categories). Clinical symptoms are not the first signs of any disease. Sequential development of a chronic diseases (heart trouble, atherosclerosis, cancer, diabetes, etc.) may not affect one’s health condition for years and have no visible symptoms. However, on the first stages of disease development changes occur in the spectrum of molecular products expressed and secreted by specific cells of the affected organ and consequent marker autoantibodies takes part in clearance such products. Progressive changes in the maintenance of such biomarkers as cholesterol, lower density lipoproteins, high density lipoproteins and C-reactive protein may define the individual risk of development of atherosclerosis and cardiovascular diseases and proper efforts to normalize these indicators are capable to decrease the risks of cerebral accidents and heart attacks in several times. The raised glucose concentration in blood shows the risk of development of diabetes; the raised level of PSA is a bystander of prostatitis, etc. Persistent changes in the content of many biomarker molecules are the indicator of activation of pre-existing disease, and well-timed taken preventive measures allow to stop the illness progression at early stages. What Is The Difference Between Analyses Of Epigenetic Markers From Genetic Ones? Genetic studies allow receiving information about potential individual risk of certain disease development. However, due to the overwhelming number of chronic diseases (with the exception of monogenic ones) develops under genetic background and plural epigenetic (environmental) influences – genetically caused risks are not compulsory penetrated. It should be noted that the analysis of changes in the contents of epigenetic markers allows revealing not potential risks, but triggered pathological processes and; therefore, natural autoantibodies take a significant place among these epigenetic studies. Individual level of serum antibody reactivity, approximately identical at healthy people, essentially changed in diseases (pathological conditions) which accompanied by destruction of cells from affected organs. Such damage-induced secondary elevation of marker autoantibodies directed to antigens of damaged cells reflects activity of autoclearance, which is one of the most important functions of the immune system and can become the universal tool of the earliest diagnostics of beginning disease. Changes Revealed. Symptoms Of Disease Are Not Present. What Shall We Do? According to great French surgeon Rene Leriche, “illness is a drama in two actions: and the first long action occurs put at out candles in a silence of our organs and tissues and only at the second short action there are pain and other visible phenomena. Clinical symptoms are not the first signs of illness. Gradual development of chronic disease (heart trouble, atherosclerosis, cancer, diabetes, etc.) does not usually appear for a long time in any senses. But it reflected in essentially reversible change at the molecular level, which compensated until further disease. It is clear that revealing of pre-existing disease (at stages of complete reversibility) gives, at least potentially, to eliminate effectively or to reverse undesirable changes instead of struggling with generated pathology. Nowadays, possibility to reveal very different pre-existing diseases became almost a reality. However, it is necessary to consider that the classical medicine had regarded how to treat disease for centuries, but almost had not studied how to prevent it. Therefore, perspective approaches for individual prevention of cancer, stroke, obstructive lung disease, atherosclerosis or diabetes continue to be “terra incognita”. This stratum of the problem is in great need for carrying out widespread and interdisciplinary researches. First of all, serious scientific researches and experiments, would be directed to develop non-pharmacological (in classical understanding) or pre-pharmacological individualized approaches to correct deviations at the molecular level, to restore and to stimulate natural mechanisms of reparation, regeneration and compensation to study productivity of the technologies offered by nanomedicine, biotechnology, physiotherapy, homoeopathy, to research area of psychosomatics, Western analysis of several Eastern traditions of Indian medicine, Chinese medicine, Tibetan medicine. Some of the mentioned approaches may be successfully applied to contemporary healthcare service. Certainly, there is a lot of work for searching and investigation of known and new biomarkers, including autoantibodies which seems to be especially perspective. Historically immunology formed as a branch of applied microbiology and generations of specialists in immunology educated by microbiologists. Therefore, “microbiological” points of view concerning predestination of the Immune System (ISYS) reproduced for decades. Essence of such views may be impressed by the phrase: the main function of the ISYS (or for precision – Adaptive Immune System) is the constant struggle against any non-selfness which gets into the host-organism (foreign antigens in microbes, cells, or particles). Why ISYS is not struggling against numerous representatives of the “normal” microflora? Why ISYS is not fighting against thousands paternal antigens expressed fetus? If antigens which had not been presented to ISYS during early ontogenesis should be considered as non-self antigens, why ISYS does not reject the lactating breast expressing a lot of milk’ neo-antigens? If the main function of the ISYS is the constant struggle why and how ISYS is involving in maintenance of general homeostasis, in regulation of tissue growth, reparation, and differentiation, in general morphogenesis and fetal development? If any of autoreactivity is the sign of pathology, why autoantibodies and self-reactive lymphocytes presented in each healthy individual during all lifespan? Restricted (microbiological) view about immunity has become a touchable obstacle now for practical introduction some new ideas and methods, related to pre-nosologic detection of different chronic diseases. These and other “difficult questions” have been considered in the eBook. An attempt to take a look upon immunity from an unusual angle, and re-evaluate the biological meaning of the immune system from physiological point of view undertaken. 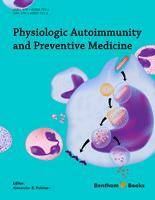 It is especially important: if we have to consider the immunity-autoimmunity phenomena from the position of physiology (see Chapter 1) – it automatically gives us a new ground for real construction of amazing building of future individualized prognostic-&-preventive medicine. Appropriately authors of each chapter of the eBook have to do somehow with the subject. Let us touch the idea of preventive medicine shortly. It is well known that ancient Greek’s God of treatment, Asclepius had two daughters – Panacea (?a?? ?e?a, Panakeia) – she was able to treat any disease – and Hygieia, ?? ?e?a or Hygea (she was able to prevent any disease). According to the legend some ancient Chinese doctors had received their salary only if their patients – members of Emperor’s family – were healthy, and be deprived if patients were ill. Thereby the idea of preventive medicine should not be considered only as fashionable trend of recent years. But in spite of the long history this idea remains an idea, and the main occupation of modern medicine, as well as centuries ago, is not prevention but treatment of manifesting diseases. This state is directly related to inability for ordinary physician to peep into the future of observed patient and to forecast the future disease absent now. Do consider the typical sequence of main blocks of events leading to the disease. These stages clearly indicate for evident necessity to reveal and evaluate some defined molecular changes (the Stage-2) for maximally early prediction of high-probably future disease. While most complicated and precision technologies revealing of tissue defects may operate at the best from the Stage-4. Many hopes of practical medicine laying for achievements of molecular genetic turned to be overestimated, mostly because great influence/contribution of epigenetic factors in the development of most of the diseases. It is not concern cohort of monogenic diseases, but total contribution of the lasts in population's morbidity, and mortality is far below of 1%. Modern genetic methods may be valuable for the evaluation of probability of heart disease, or diabetes, or epilepsy, etc., expressed as individual risk level above or below of an average. However, the development of disease and the risk of disease are not considered adequate. On the other hand, there are molecules-markers (biomarkers). Everybody is aware of such markers as abnormal blood glucose level, higher bilirubin, or steady elevated protein in urine, etc. Some biomarkers reflect peculiar changes in the main systems of the organism and many cases may be more robust and more certain pre-clinical indicators for the future or presenting disease. Natural autoantibodies with certain antigen specificity may also be considered as prognostic useful and universal molecular markers. Steady changes in production and blood serum content of these molecules have been related directly with tissue damage of any origin and any location , and related to any (not only “autoimmune”!) presenting now or leading to the development of the disease . Thereby the idea of preventive medicine has now acquired the firm base not only for discussion but for real building of the main constructions. By using specialized antigenic kits, we may actually to look in future changes, in the health state of observing individual. But to predict future disease, absent now, is only half of affair – how to prevent it – is equally important but far from clear aspect of the problem. Matzinger P. The danger model: a renewed sense of self. Science 2002; 296: 301-05. Poletaev AB. Physiological Immunology. MIKLOSH Publishers, Moscow, 2010.